SYRACUSE, N.Y. - A $175,000 scholarship fund has been established to honor Dr. Ross S. Whaley, the outgoing president of the SUNY College of Environmental Science and Forestry (ESF). The scholarship fund was established by the ESF Board of Trustees and the College Foundation Board of Directors to honor Whaley for his accomplishments as president of ESF. Whaley's tenure as president of the college will end May 15. His successor will be Dr. Cornelius B. Murphy Jr., chairman of the board of O'Brien & Gere Limited. "We believed this would be a particularly nice way to honor Ross, who is so supportive of meritorious students," said J. Warren Young, a foundation director and a leader in the campaign to establish the endowment. "People who know Ross well wanted a permanent honor for him." Curtis H. Bauer, chair of the ESF Board of Trustees, called the scholarship endowment a "good way to honor a man who devoted 16 years to the college." "ESF is on the cutting edge of major innovations in the field of natural resources. Scholarship is where a lot of these ideas and techniques come from," said Bauer, who is also a member of the ESF Class of 1950. "The endowment seemed like a natural way for the college to train the people the world needs." The first Whaley scholarships are expected to bring two freshmen students to campus next fall. The scholarships will be awarded based on the students' academic achievements and community service. Initial contributions quickly exceeded the foundation's goal of $100,000. Those donations came from 115 individuals close to Whaley and the college. Members of the public who wish to contribute to the fund may do so by contacting the ESF Office of Development. Contributors to the fund will be recognized this spring during an event that will celebrate Whaley's tenure at the college. 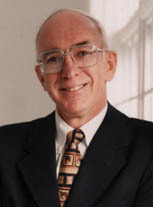 He has been president of ESF since April 1984.